A downspout's edge is sharp enough to slice a cucumber. 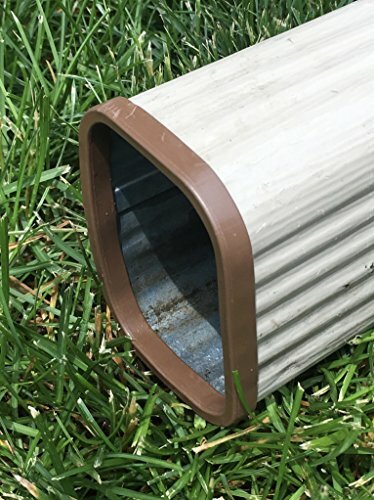 The Downspout Safety Cap is the first safety cap to provide the ultimate protection from a downspout's sharp edges. It protects your family and completes the exterior look of your home, leaving no corner unfinished. If you have any questions about this product by Downspout Safety Cap, contact us by completing and submitting the form below. If you are looking for a specif part number, please include it with your message.